Last week I was in Toulouse, for the second step of Obeo Designer roadshow. 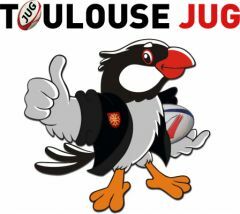 The evening, just after the roadshow, I have been invited by Toulouse JUG for a 15' talk. 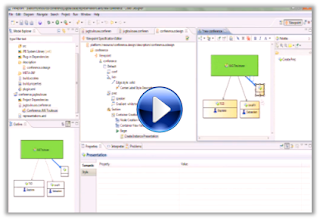 I presented a live demo of Obeo Designer: from zero, I created a new graphical designer (definition of an Ecore model, generation of the EMF source code, creation of a sample model and definition of a diagram). The presentation (in french) has been recorded. It is available on Parleys.com. At the end, while I was presenting an existing designer (Graal Designer, a designer created for the french Ministry of Defence) Etienne, who was attending the presentation with his own machine, connected to my machine and hacked my diagram in live! There were also four other presentations: GTB (by Baptiste Mathus), Jenkins (by Michaël Pailloncy), JavaFX2 (by Sebastien Bordes) and Scala (by Didier Plaindoux). These presentations are also on Parleys.com. Thank you to Nicolas Zozol and Baptiste Mathus for the invitation to this event and its organization. why on earth would you use parley.com to host your video ? The grammarsnot is waiting for you in this area with the help of which you can enjoy the better choices. Get the best deal of cheapest essay writing service and find the significance of the Apostrohe's with this area of the best service.